There is good news about energy. We have untapped natural resources here at home. 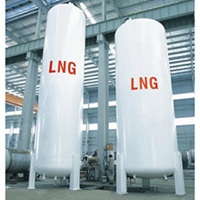 In the United States, we have natural gas that can be turned into liquefied natural gas. Other nations don't have this. We have so much natural gas that we can export it by selling it as liquefied natural gas. Not only will exporting liquefied natural gas bring money and energy back home, it will create jobs. This means jobs and capital for Americans and American companies. Even the Department of Energy says that expanded export of liquefied natural gas will benefit the United States economy. In 2010, the oil and natural gas industry added $476 billion to our economy. To top it off, the oil and natural gas industry employs 9.2 million people in America. We are missing out on this opportunity by not exporting liquefied natural gas. We've ignored this opportunity far too long. Let's stop relying on Middle Eastern nations and use more natural gas and export it as LNG.